Are you planning on letting your inner animal out this Halloween? Want to dress up as a sassy black cat or a majestic panther? Maybe you’d like to dress up as a big bad wolf or as a cuddly bear this year. Perhaps you think that skunks are just the most adorable critters out there. Well, if you’re hoping to portray any of these furry creatures then you’re going to need to get your hands on (or should we say ‘in’) the right accessories to complete your costume. Take a look at these Fingerless Black Paws! Once you toss these furry paws on over your hands you’ll be ready to prance around the party scene as the cutest critter anyone has ever seen. Oh, and besides looking absolutely adorable with these gloves, your hands will also be kept warm while you hold any ice-cold beverages! That's a win-win right there. 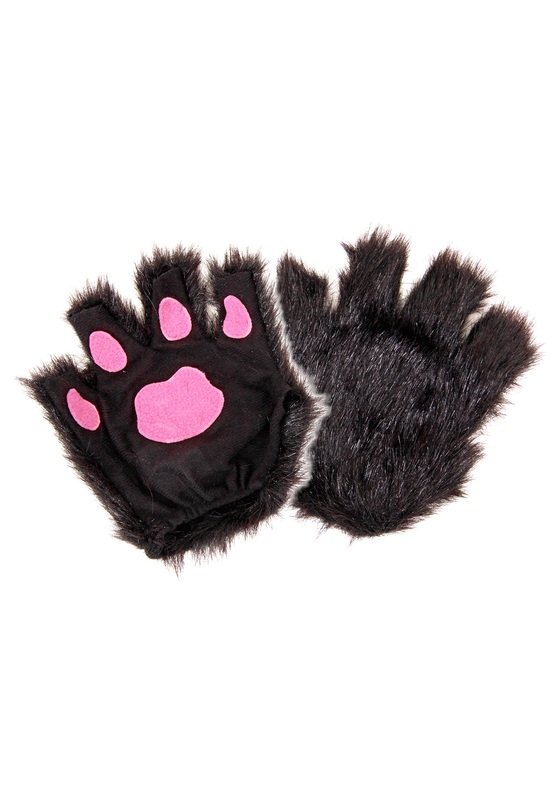 Grab a pair of these Fingerless Black Paws and look through the rest of our accessories to put together the cutest animal costume this Halloween.